Как уже сообщалось в Блоге экспертов Музея имени Андрея Рублева, в Национальной галерее США была открыта интереснейшая выставка «Небеса и земля: искусство Византии из греческих коллекций». Как ни странно, о ней нет ни слова в российских СМИ, в т.ч. 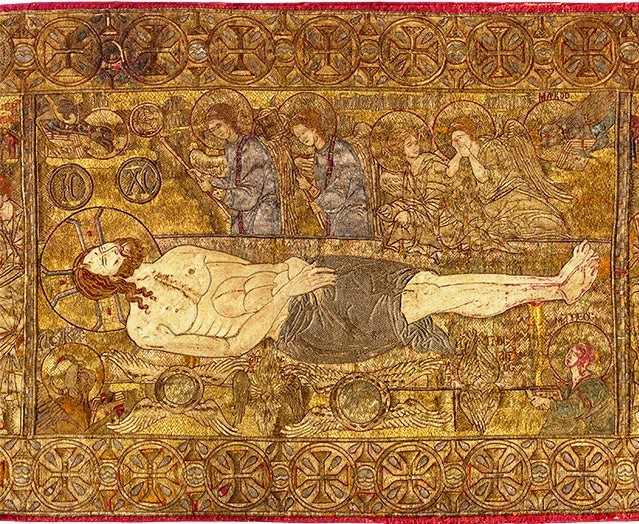 на сайтах по Византии и византинистике:-) Тем временем, эта выставка «HeavenandEarth: ArtofByzantiumfromGreekCollections» с апреля по август 2014 г. экспонируется в самом крупном художественном музее Калифорнии – Музее Гетти (J. Paul Getty Museum), расположенном (с декабря 1997 г.) в Лос-Анджелесе (см. илл.). This exhibition was organized by the Hellenic Ministry of Culture and Sports, Athens, with the collaboration of the Benaki Museum, Athens, in association with the J. Paul Getty Museum and the National Gallery of Art, Washington. The exhibition is supported by an indemnity from the Federal Council on the Arts and the Humanities. The U.S. tour was made possible by major funding from OPAP S.A. Financial support was also provided by the A. G. Leventis Foundation. Одновременно с такой грандиозной экспозицией по Византии с марта по июнь 2014 г. в том же Музее Гетти (Getty Villa) развернута интереснейшая выставка «Heaven and Earth: Byzantine Illumination at the Cultural Crossroads» (см. илл.). 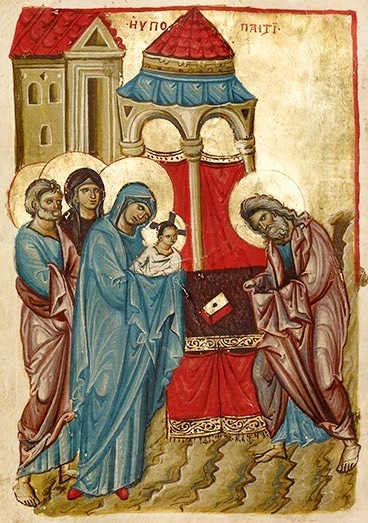 Inspired by the exhibition Heaven and Earth: Art of Byzantium from Greek Collections that will be on view at the Getty Villa Museum, April 9 – August 25, 2014, this course will explore the painted page in Byzantine manuscripts. The Byzantine Empire spanned many centuries (c. 600 – 1453 A.D.) and covered territory from Italy to Syria and from Turkey to North Africa, and yet, despite the wide diversity of people and locations Byzantine imagery appears largely consistent. This course will give a general overview of illuminated manuscripts in the Middle Ages, as well as a survey of Byzantine art. 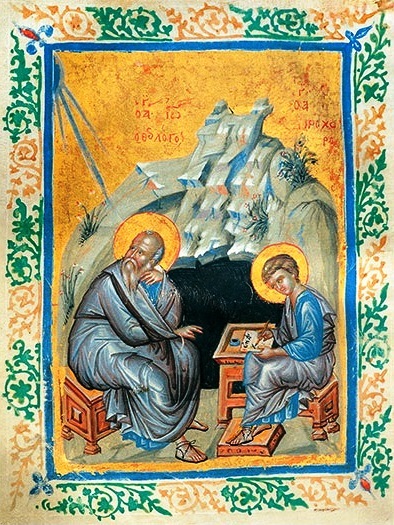 We will study early Byzantine manuscripts and their relationship to Ancient art and Western Medieval art. We will continue through the middle Byzantine period and late Byzantine periods learning to identify the diversity in styles and types of illuminated texts. Attention will also be given to the codicology and technical aspects of medieval manuscripts, using primary manuscript material at UCLA. We will have the opportunity to visit the exhibition at the Getty Villa, as well as a private viewing of Byzantine manuscripts in the Getty Museum Manuscripts reading room. The course will also include a daylong studio workshop, with artist Sylvana Barrett, at the J. Paul Getty Museum Studios. 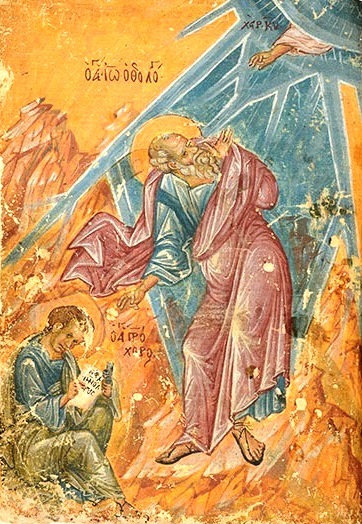 Participants will work with handmade parchments, prepare traditional illuminator’s paints from dry pigments and learn basic gilding techniques while creating a small illuminated image. The course will be taught by Dr. Justine Andrews. There are three full-tuition scholarships earmarked for this course. The enrollment for all CalRBS courses is limited to 12 individuals. Applications for this course will be accepted until it is full; subsequent applications will go to a waiting list. Instructions for applying for both admission, scholarships, and application forms for both are on the CalRBS Website, www.calrbs.org. The deadline to apply for a scholarship is June 15, 2014. This entry was posted in Uncategorized and tagged Византия, Православие, США, икона, иконопись.